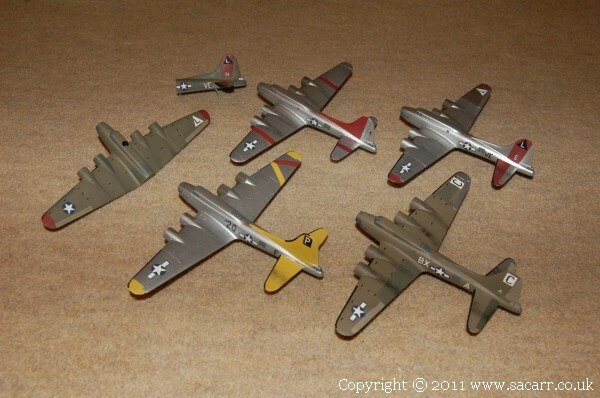 The main body of aircraft are resin cast B-17's. 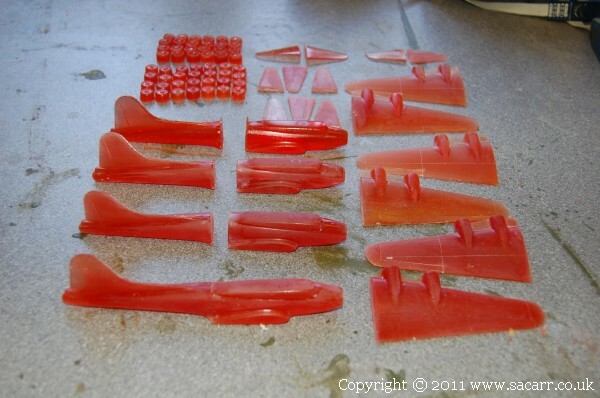 Silicone moulds were made from a plastic kit as shown to the right. 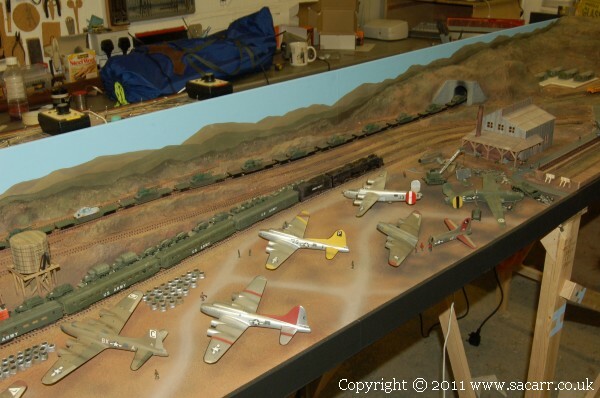 The resin castings were cleaned up, assembled, filled and painted, with all markings being hand painted. 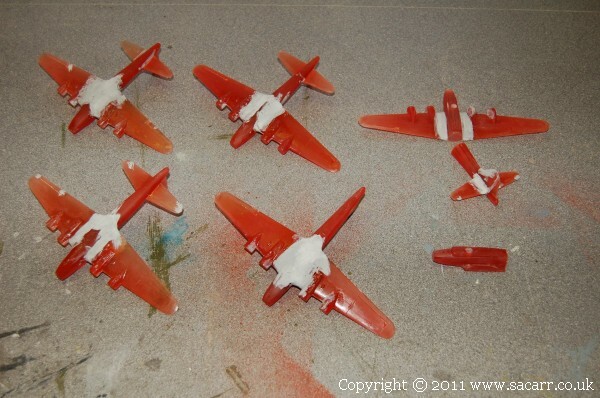 Engines/cowlings were cast separately as these were removed while in storage, and often sold as power units and mineshaft ventilation units. 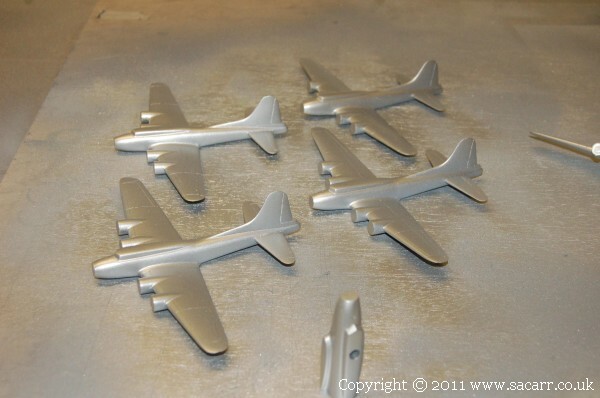 Some additional smaller aircraft parts were cast for parts in the process of scrapping. 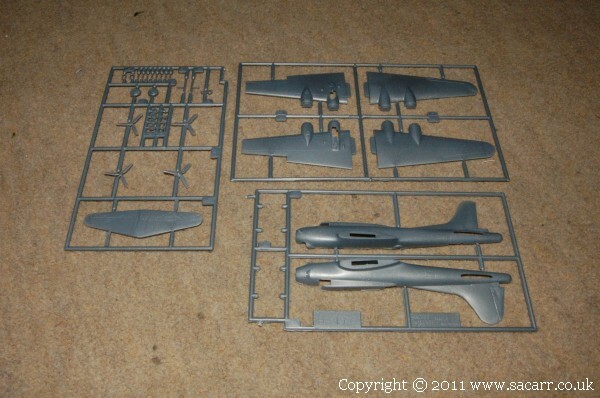 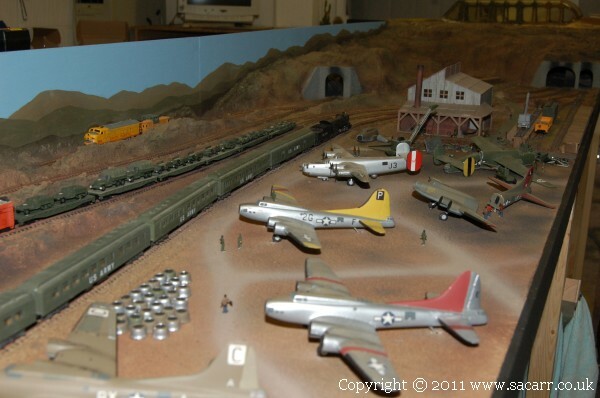 One B-17 kit was bought to be fitted with micro electric motors to turn the propellers. 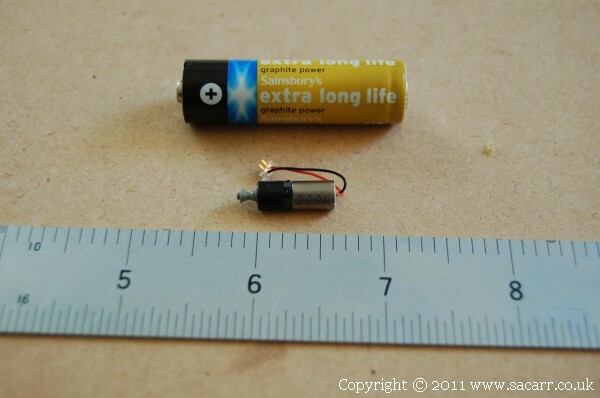 The motor is shown below along with an AA battery for scale. 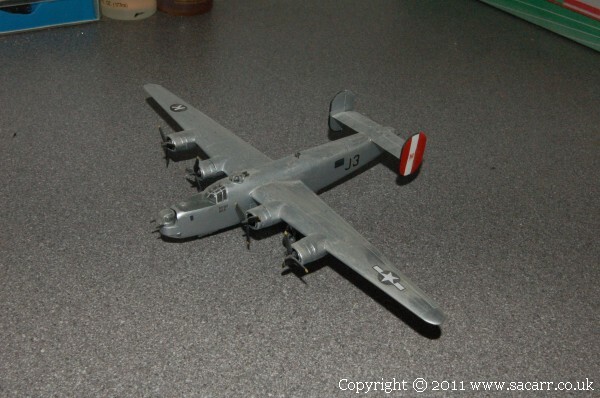 To make a change from all the B-17's, one B-24 Liberator was bought and completed fully assembled. 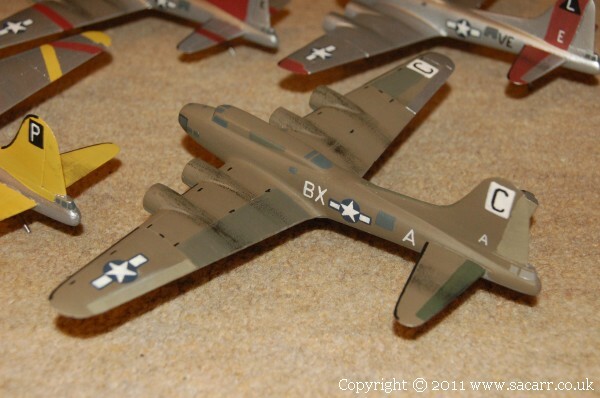 This aircraft is finished in the markings of the 458th Bombardment Group, based at Horsham St Faith, now Norwich Airport. 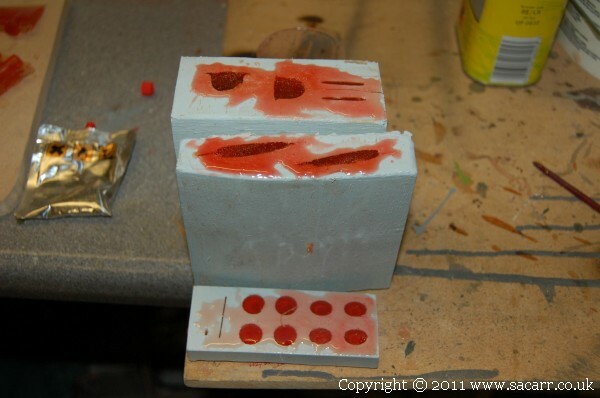 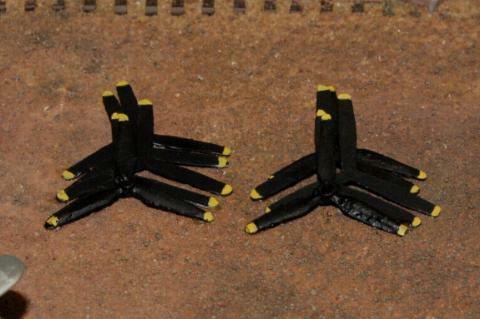 Several props were made from 0.5mm sheet styrene. 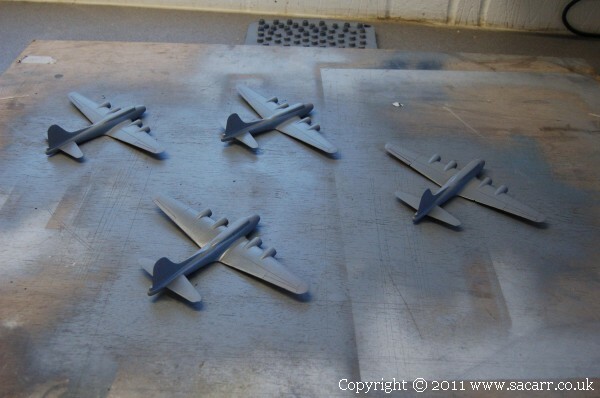 I tried casting some, but the castings are so thin and fragile, it was easier to cut them from sheet.